Little known to SRK’s fans around the world is the great actor’s Russian connection. After moving to Bombay (as India’s financial capital was called until 1995), he started acted in television programmes, the most well-known of which was ‘Circus.’ According to a book by Anupama Chopra titled ‘King of Bollywood: Shah Rukh Khan and the Seductive World of Indian Cinema,’ the actor’s “rapid fire dialogue delivery” and “high speed heroism” attracted unlikely admirers such as Indian art cinema director Mani Kaul, who was known to be a Russophile. Kaul found something “tragic – unrequited” in Khan, according to Chopra’s book, where she quotes the director as saying that he was attracted to SRK’s voice. The then-television star was offered a role in a tele-series adaptation of Fyodor Dostoyevsky’s ‘The Idiot.’ The setting of Kaul’s ‘The Idiot’ is Bombay of the 1990s, and not 19th century St Petersburg. Incidentally the two cities have a sister-city agreement and their (at times) antagonistic relationship with their respective national capitals is one of many things they share. Khan was offered the role of Pawan Raghujan, the Indian equivalent of Parfyon Semyonovich Rogozhin, the man who murders Prince Myshkin’s true love Nastasya Philipovna. Kaul also wanted to adapt the tele-series, which was going to be screened on India’s national television channel Doordarshan, into a film. 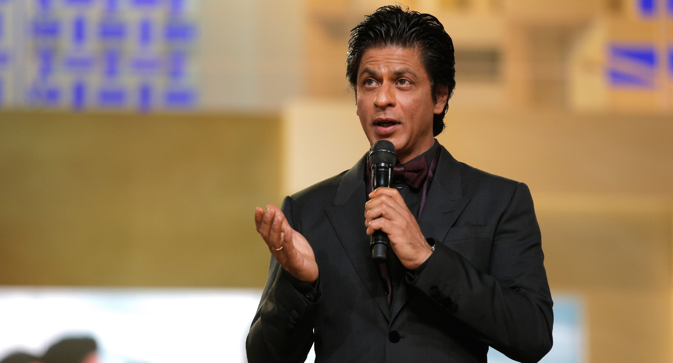 According to Chopra’s book, at that time, SRK was reluctant to act in a film and wanted to become a famous television personality on the lines of Oprah Winfrey. He was also worried that becoming a Hindi film actor may lessen his chances of marrying his future wife Gauri. Anupama Chopra writes that the very fact that the series was based on Dostoyevsky’s book made the prospects more attractive for SRK. ‘The Idiot’ was one of the first books gifted to Khan by his father, who bought the book for four rupees from the Soviet Cultural Centre in Delhi. The rupee was worth a lot more in those days than it is now, but even then the book must have been sold at a subsidised price, as a part of the Soviet policy to reach out to the common people in India. Kaul took a personal interest in Shahrukh Khan and even taught him certain meditation techniques to help him focus better as an actor. The series was broadcast on Doordarshan in 1991 and I managed to see parts of it in a VHS format. This was one of the earliest visuals of a man who would become one of the biggest films stars that India has ever produced. Kaul managed to edit the series into a proper film format for the 1992 New York Film Festival. In a review in the New York Times, Stephen Holden who seemed to be an admirer of Kaul, was critical of the film. “Although the setting has been moved from 19th-century St Petersburg to contemporary Bombay, Anup Singh, who wrote the screenplay, has neglected to give the story a modern Indian cultural or political context,” Holden wrote. “As a result, references from the book to such things as a liberal movement that could destroy the country are simply mystifying.” Little did Holden know that Mani Kaul was indeed a visionary and that a few years after the film was screened at the festival, the effects of economic liberalization would create a large amount of insecurity among the conservatives in India, who dread the thought of an increasingly Westernized India. Shahrukh Khan’s career completely took off after 1992 and his performances as a vengeful murderer in ‘Baazigar’ and as a stalking anti-hero in ‘Darr’ made him a superstar. Over the last 2 decades, he moved on to do all sorts of stellar roles from an Indian field hockey coach to Emperor Ashoka. It’s next to impossible to find a digital version of the tele-series anywhere on the Internet. All I managed to see were parts of a fungus-infested video tape. It’s easier to arrange a meeting with Prime Minister Manmohan Singh on a day when US President Barack Obama is visiting Delhi, than it is to find the right person at Doordarshan to get a restored or proper archive of the television series. Since this film is not only a great historic archive of a legend of Indian cinema, but also something that is a strong link between Russia and India, maybe someone from the Russian government can manage to get access to the full version.